Thank you for your interest in attending The Arthur C. Luf Children’s Burn Camp. The 2019 camp will be held from 11:00 a.m. Sunday, July 14th through 10:00 a.m. Sunday, July 21st. Please complete the online application and send it to the Connecticut Burns Care Foundation, 601 Boston Post Road, Milford, CT 06460. The deadline for receipt of your completed application is Friday, June 14, 2019. Only children burn survivors whose birthdays, by the date of the camp, are from the ages of 8 to 18, are eligible to attend.All children attend free of charge. Your doctor must complete and sign the state required Camp Health Exam Record and fill out the health history. Application to attend camp will not be accepted unless this is totally completed and signed. We reserve the right to reject any child from the camp for disciplinary problems, emotional issues, or medical problems that would affect the child’s camping experience. The camp address is 1174 Buckley Highway in Union, Connecticut. 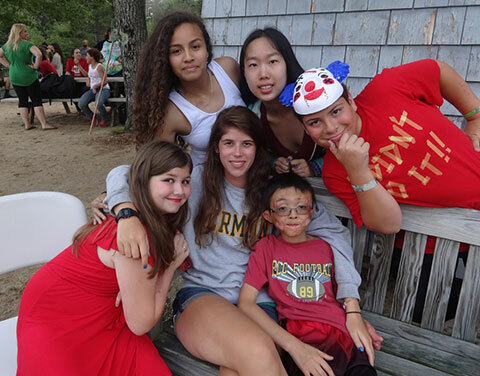 The phone number for camp is 203-878-6744 which is the Connecticut Burns Care Foundation office located at 601 Boston Post Road in Milford, Connecticut. There is an emergency number on the greeting message in case no one is in the office.